This book is not exactly forgotten. In fact the literary scholar world this book is a big deal but I'm not hearing enough about it in today's conversation. According to a ex-professor of mine, who has my thanks for assigning this book to read, they have attempted many times to make this book into a movie and failed. It's not your average book about slavery. 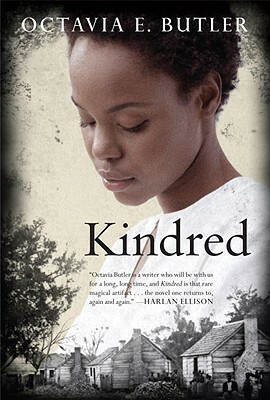 It's a science fiction book about a modern-day black women (it was published in 1979) who somehow teleports to the past where slavery was still around, where she meets a young boy who grows up to be a slave owner. It's a really interesting twist and POV of slavery that I don't think is getting talked about enough. It shows the progression of how white people of the time were raised into being the bigoted, cruel, slave owners that were infamous in the South. It's a tragic, serious, and well-written book that I think more people should know about. Synopsis: Dana, a modern black woman, is celebrating her twenty-sixth birthday with her new husband when she is snatched abruptly from her home in California and transported to the antebellum South. Rufus, the white son of a plantation owner, is drowning, and Dana has been summoned to save him. Dana is drawn back repeatedly through time to the slave quarters, and each time the stay grows longer, more arduous, and more dangerous until it is uncertain whether or not Dana's life will end, long before it has a chance to begin.